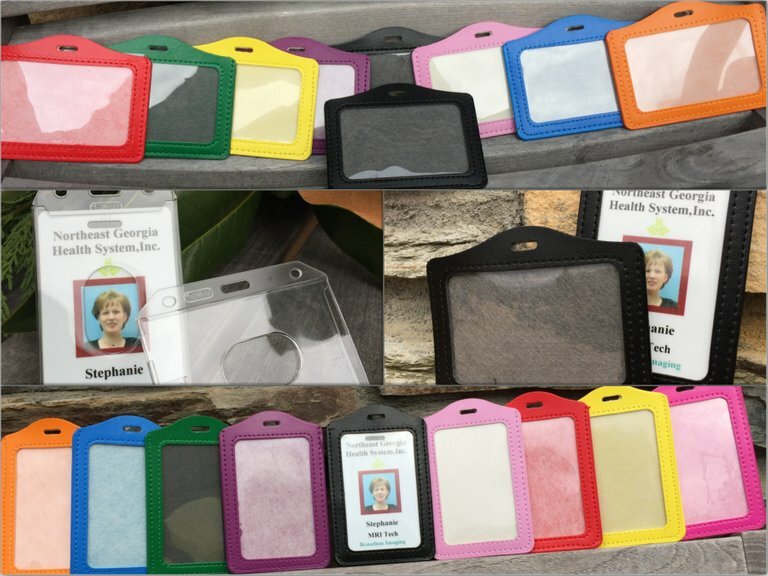 Top off your new Southern Girl Gifts Lanyard with a snazzy colored or clear badge holder – ALL Metal free, of course! 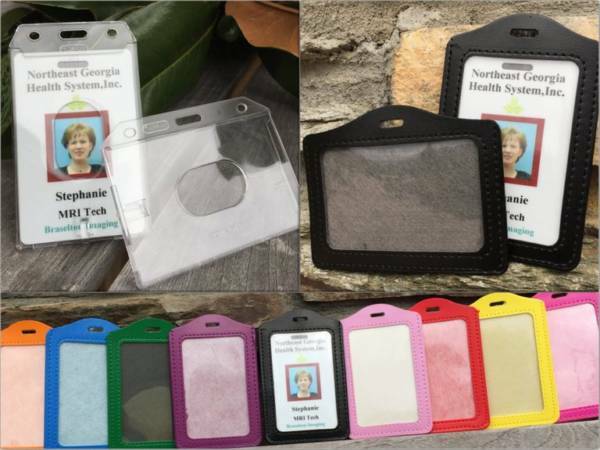 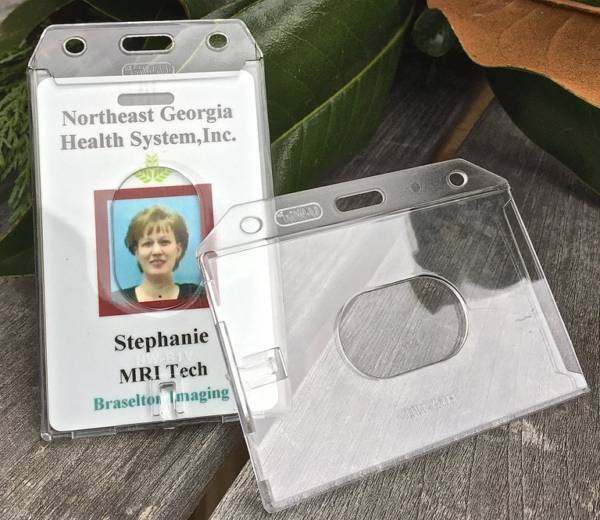 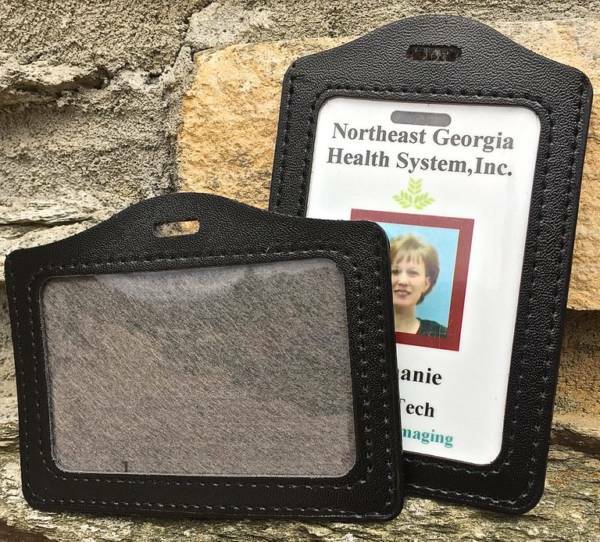 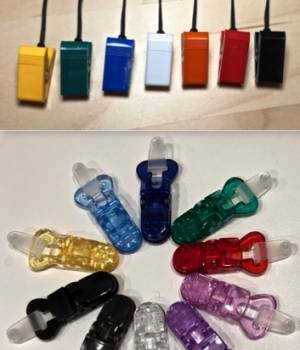 Clear holders are made of rigid acrylic and designed to allow easy removal of ID while allowing visual access of front and back at all times. 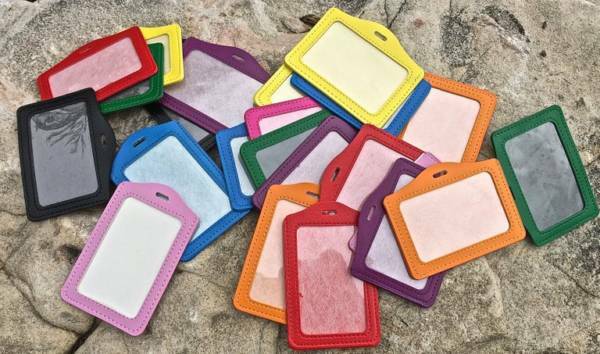 Colored ‘leather’ holders are available in 9 colors – vertical and horizontal.